Thanks for your patience everyone. 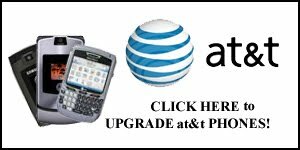 After some time in domain registrar purgatory, the Cell Phone Upgrade info blog is now back up! We had some issues with hosting that should now be resolved and look forward to keeping you posted on cell phone upgrade deals and terms of service. There have been a few new developments lately with the changes in major carriers cell phone down payment plans and upgrade deals. Stayed tuned to CellPhoneUpgrade.info for the latest!